I am not familiar with many super heroes. For example, I never heard of Ant Man until the recent movie came out, and even then I suspected it was a spoof (not). 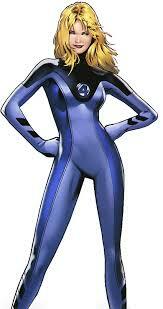 So when Colleen assigned Invisible Woman/Sue Storm to me I wondered why. Wow. It resonates with me, especially because I do not like being in the front of the room. I claim my superpowers. Thank you Colleen. Colleen O’Rourke is an executive leadership coach.